How do you become a hero when everyone thinks you’re trouble? Around Lake Fibian, Max, Cristobel, and Spyder are notorious. Stories of their pranks and troublemaking ways have followed them all of their lives. When they hear the tales about a creature called the Hoppernot, they believe the Elders are making up stories to keep young frogs (okay, mostly them) in line. But when frightened Elders announce a Hoppernot sighting, the trio think they know exactly what to do. 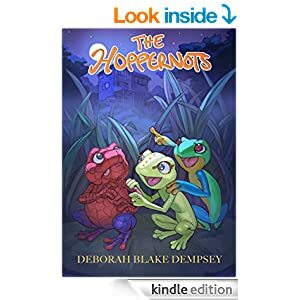 With a nose for adventure—and because the Elders are all talk and no hop—they sneak off to find out if the legendary creatures are real and discover Hoppernots not only exist, but they are destroying their home and putting lives at risk. 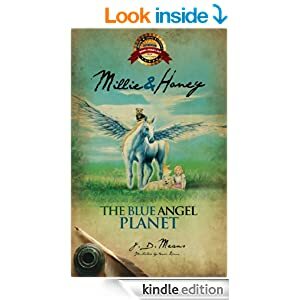 The adventure begins when Max, Cristobel, and Spyder issue a call to action to drive the dangerous creatures away from their beloved home. 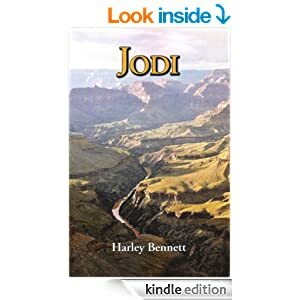 Along the way, they discover a secret weapon, an unlikely alliance, and they must find a way to make the Elders forget their troublemaking past and trust them enough to follow them into a battle of survival and fight for the lake they call home or risk losing it . . . and their lives. Hold on to your seats as this knuckle biting adventure twists and turns, with lots of unexpected outcomes. More questions are asked than get answered in this volume. Maybe it will all come together in the next. This is a middle grade fantasy book. Jodi’s vacation to the 1887 frontier town of Moss Point, Arizona was supposed to be fun. Horseback riding in the mountains and forests of Arizona was fun. Meeting White Feather and his Apache hunting party was fun. White Feather even gave her an Apache name, Konantanihi, which he translated as Fire Princess. Fishing in the wilderness was fun. Spoiling the stagecoach robbery was a lot of fun. Riding Mark’s big Quarter horse in a race was fun, and attending a nineteenth century baseball game with Hallie was fun. But, there were all those other things, those things that did not belong. Those were not fun. Some of the things that Jodi had to deal with were downright scary.